There is something about this time of year that whips us all into a pumpkin frenzy. Those orange orbs have become the must-have accessory of the season, showing up in all manner of recipes, home decorating and even in our lattes (a great big thank-you to whoever came up with that one). Needless to say, we are all in, baby, and we’ve taken this versatile fruit to new levels with some of the best pumpkin recipes we could think of. Since we naturally gravitate toward the sweeter side of life, you won’t be surprised to find that our pumpkin recipes lean that way as well. So if you’re like us and you find yourself mired in a seemingly endless pumpkin obsession, why fight it? Read on for even more pumpkin-y goodness sure to satisfy your deepest craving for fall’s most famous fruit. Celebrate the season with our best pumpkin recipes! An event 133 years in the making, Thankshanukkah is the moniker we gave the timeframe in which Thanksgiving and Hanukkah will coincide this year. Since we are combining holidays, it seemed only fitting that we combine two of their culinary traditions into one delicious treat—pumpkin donut holes! Yum! No oven space? No problem! Tackling Thanksgiving dinner this year? With the turkey and all those side dishes taking up space in your oven, how about whipping up a no-bake dessert to save some space? Served in bud vases or small votive holders, our super easy pumpkin mini parfaits are going to put the cherry on top of your fabulous meal! So this isn’t a pumpkin recipe, but we had to include it! Sitting at the kids’ table could be a whole lot more fun this year with our totally adorable pumpkin pie slice place cards. Use our free printable create and fill with treats for the kids! Skinny = you can have more! Whoopie! 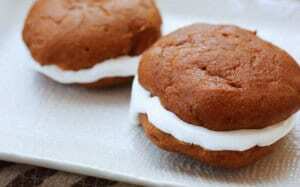 We made our simple pumpkin whoopie pies with a sugar substitute and low-fat cream cheese. So, as far as we are concerned that gives you the green light to double up without the guilt! Go ahead, we won’t tell! We ditched the crust and went right for the yummy pumpkin pie filling! Serve them in individual ramekins crème brulee style with some whipped cream (dairy or dairy-free) on top to totally impress the family. Cheesecake or pumpkin pie for dessert? What a dilemma! Problem solved with our ridiculously yummy rum pumpkin cheesecake topped with maple cream. 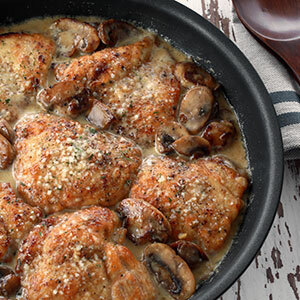 Super easy to make and your guests won’t lament the lack of pie for very long! Treat your kiddos off the bus to a snack they are going to love—freshly baked pumpkin bread! The recipe calls for either fresh or canned pumpkin and is going to make your kitchen smell absolutely amazing. You might want to bake two loaves at a time because this yummy treat won’t last for long!